We’re observing Martin Luther King Jr. Day, so the Good Catholic Life is bringing you one of our favorite shows. We will return with a new show tomorrow, Tuesday, January 21, 2014. Today we bring you an encore presentation of our discussion of Catholic apps. Smartphones and tablet computers have become a large part of our lives and our faith life too. Scot Landry, Fr. 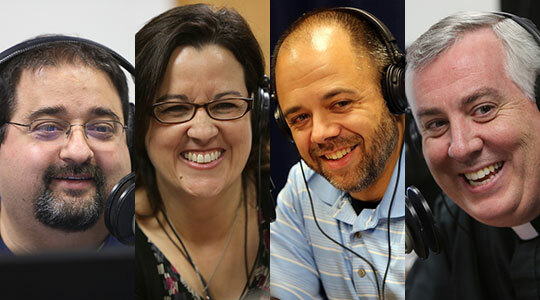 Mark O’Connell, and Dom Bettinelli welcome Michael Lavigne and Allison Gingras to talk about which Catholic apps they use and how they help them to live their Catholic faith more fully. Then Allison talks about the Catholic app she’s developing, what goes into the whole process, and the unique way she’s funding its development.